Also were you happy with the results? 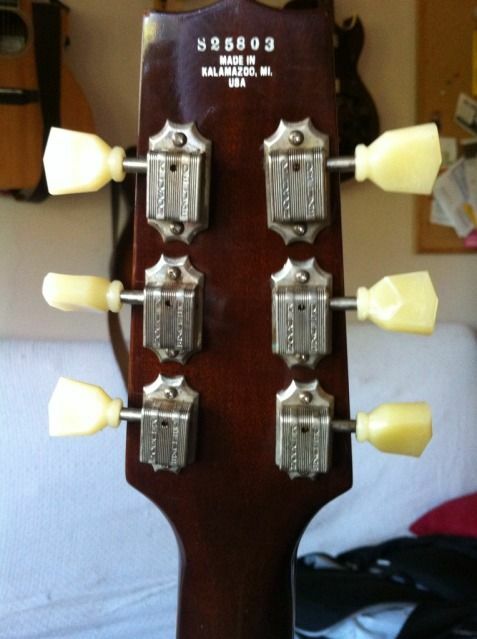 I haven't replaced any of my tuners, nor do I have a D10S model, so I can't really help you out, but I do know the issue is a frequent one on the forum and I would suspect there are many threads in which the topic is discussed. Grovers are the most common product mentioned on this issue. 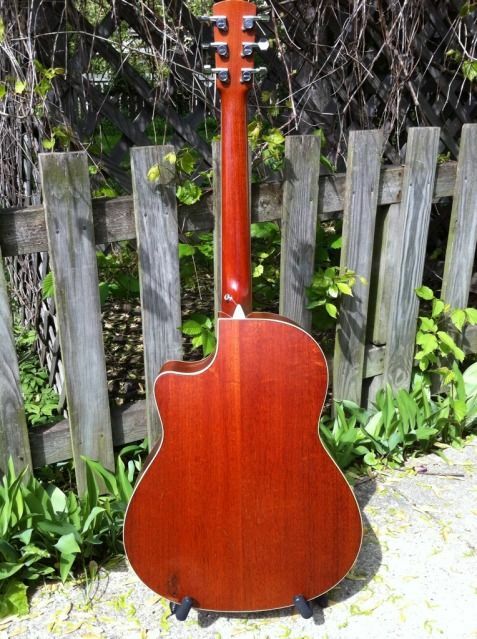 My advice is to use the search function in the Lutherie board or in the Acoustic guitar players post comments/questions board...but there might be some info in the D10S section on the D10S board in which you posted this. Have you tried the search function yet? I find it a bit more awkward than the search function from the previous forum software, but perhaps that is just b/c I haven't really given learning about it much of a try yet. Yes Y.D. I remember this was talked about with in the last few months. The big thing is angle and holes left over. Tom. here's a link to the tuners you're interested in installing. It's a good tuning machine. 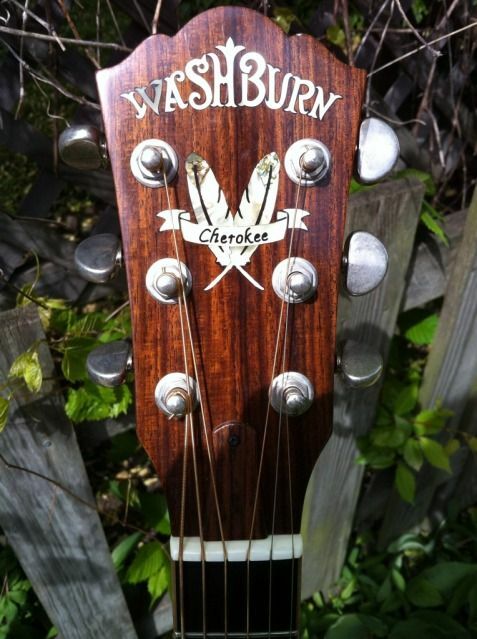 Washburn has used these extensively on many of their guitars. I had a set. I just removed a set of Grovers from a guitar. Changing tuners is a simple task, but it's a classic "check twice, order once" scenario. I have no idea whatsoever what tuners you have in place, so Can't address whether or not the Grover "footprint" matches. So, what cha got? 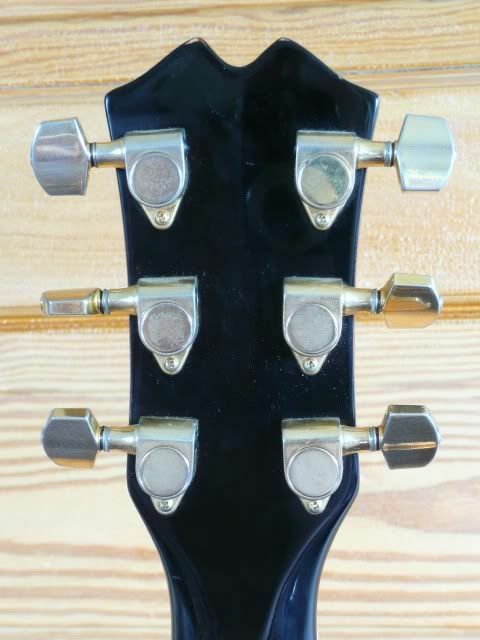 if you have the screws which are offset, you can still install the Grovers, but you'll have an exposed hole next to each tuner. Strictly a cosmetic issue, and you'll have to (gulp....) take a drill to your headstock. If this is a problem, keep shopping for a different replacement tuner with the same hole pattern. Most manufacturers provide schematics of their tuners, because this is a common issue for guys like you that want to do the job right. Stew Mac is a great resource, and they have instructional videos embedded on their site. Thanks guys, excellent helpful responses. My tuners are the stock D10SCE ones. I have no idea if these are Washburn's own or not. I will give it some more thought I think. can you post a pic of the back? Hi sorry for late reply. Thanks for the pics. A and C look identical. They look like those. 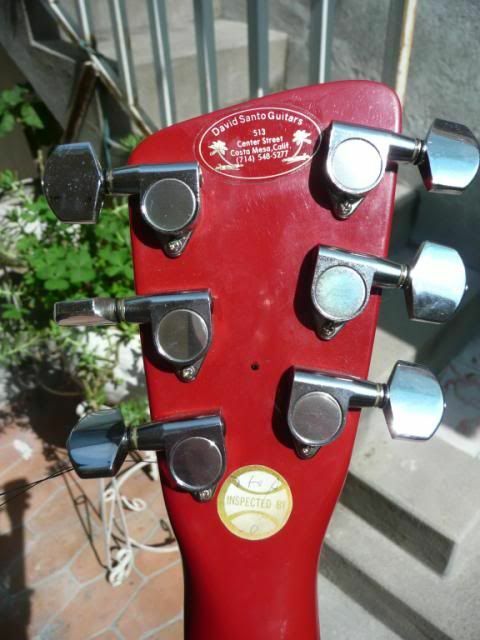 I'm gonna dredge up this this old thread because I prefer Grover tuners. Not the fanciest, but a long history. And when they promise a "lifetime guarantee," they don't mess around. 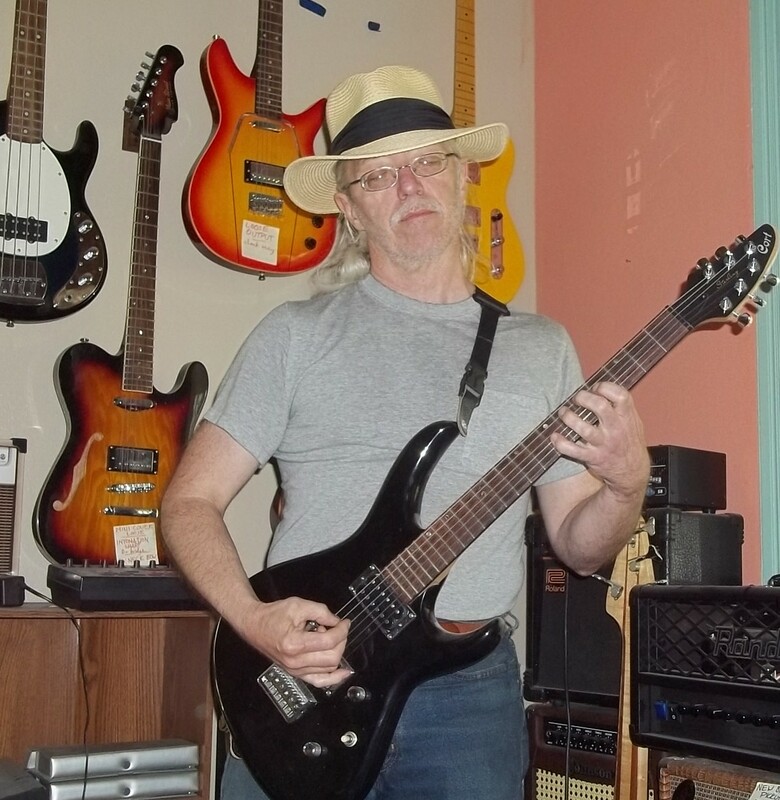 Couple years back, I bought a well-used 1980s Epiphone shredder. Four of the tuners were clearly some degree of shot, with the other two not far behind -- popped-off back, stuck gear, grinding, busted nylon washers. So, what the heck: I sent Grover an email & asked if the warranty applied even though I bought the axe used. In a couple of days, I got an email back, asking me to send the machines in. My guess is that they don't want to take responsibility for the Chinese ripoffs that have entered the market -- oh, & if you see a "too good to be true" price on a Grover set, you should at least ensure the SELLER will return your cash if they turn out to be garbage. In a couple of weeks, I got a NEW set of chrome 205 heads, & didn't even pay postage. They don't have as many varieties as they once did, which at least makes it easier to shop. The Kluson-style cans (photo B) are the 135, with the 133 & 136 variants. The ones with the tab straight down are the fullsize 102/109. If you want 18:1, that's the 102-18. When the tab's at 45 degrees, those are the "mini" 205/305. Grover also has a few locking styles, the 106/502 (full) & 406/505 (mini). I have also seen brushed bronze, & I own a brushed copper set. And it's easy to change the Rotomatic buttons to different shapes or materials, a great finishing touch for a favorite guitar. The Rotos have bolt-down hex bushings that are VERY secure & ensure the torsion isn't being taken just by that one little screw. I've never had a Roto loosen enough to spin around, but I imagine a drop of Loctite on the threads would prevent it forever. Keep an eye on eBay & your local shop; you never know what'll pop up. Good to know. Kudo's to grover for standing behind the product. I'm very much in the, if it ain't broke don't fix it camp. Aesthetics take a back seat.